Imagine Miles Davis growing up in the middle of Kentucky, where the high-school marching band was a bluegrass-band! Or picture that the movie O Brother Where Art Thou wasn't directed by the Coen Brothers, but by Ornette Coleman. What if Dixie Chicks were in Joe Zawinuls band, immersed in his famous philosophy «We always solo and we never solo»? The music in these highly unlikely scenarios would probably resemble Open String Departments debut-album! The title is a play on the term «Fringe science», a term defined as cutting edge research using very unconventional methods. «Fringe Music» refers to the group's meandering between jazz and bluegrass, finally creating their own borderline improvisational genre. Open String Department was conceived on a roadtrip through the American Appalachia. 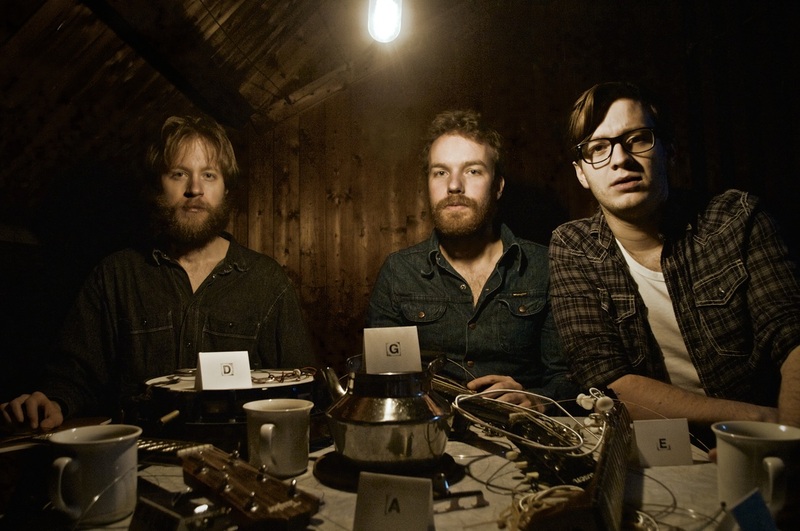 After finishing their jazz studies at the renowned jazz conservatory in Trondheim, Espen, Magnus and Aksel crossed the Atlantic to dig into some American roots-music. Countless late-night campfire and parking lot picking parties on the south side of the Mason Dixon line in the heart of West Virginia would lay the foundation for this original acoustic trio. The trio is the result of many years of playing together, as the back bone of the bluegrass band Julie & The New Favorites at festivals in Europe and USA; at obscure 10-hour party-gigs in Gudbrandsdalen (the Norwegian outbacks), in jazz-clubs throughout Europe and Japan and in elementary school-concerts throughout the north of Norway. Armed with a tenfold of string-instruments as well as a (un)healthyportion of fearlessness and insanity, OSD gazes the conservative traditionalist straight in the eye as they mercilessly reconstruct the American folk-music and turn it into their own thing.